We had a fun garden meeting this morning in the Village Hall. If you have not already, please remove weeds from your garden beds and paths. Letters to gardeners in violation of the weed rules will be sent to those who don’t clean up soon. Some gardens have weeds that are going to seed, and we want to avoid the weed seeds from spreading to other garden plots. Thank you for your help keeping beds and paths clean of weeds. Herbicide will need to be sprayed in paths (not garden beds) if weeds grow. If we all work together to keep weeds picked, the need for herbicide use will be reduced. If you have been away or need to be gone, you may cover your plot with plastic or other covering to prevent weed growth. Please join your fellow gardeners for a fun day cleaning up in and around the shed! After the composted horse manure and Rid-All compost (for gardeners who purchased it) removed from the bins, wood chips will be delivered for gardeners to spread in the paths around their beds to prevent weeds. If you have a few extra minutes, please also consider spreading wood chips to common areas. Please make sure the lock is locked and the numbers turned away from the open combination. As soon as the weather is nice enough, we will start holding garden gatherings every Friday from 6-8pm. Please bring a beverage and snacks if desired. If you would like to donate produce to any particular organization, please let us know what date and time you will pick it up from the garden, and we can announce to gardeners in advance. If any gardeners have excess produce at that time, they can leave it in a designated spot in the garden for you. New Directions is one Orange Village organization that would love to have extra produce. 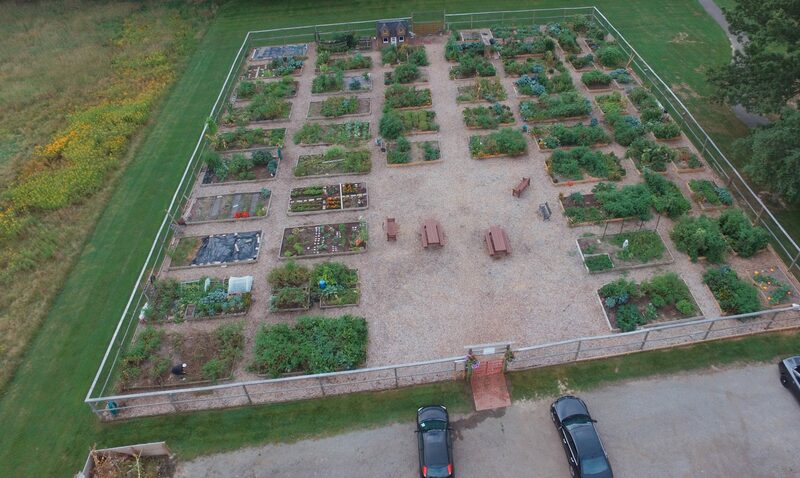 Closer to harvest season we will publicize a date and location in the garden to place your donated produce for it to be delivered to New Directions. Later in the season, we may have a lunch for the service department, as we did last year, to thank them for all of their hard work making the garden beautiful. They built two new beds to accommodate new gardeners, they fixed the fence, they do maintenance to the garden, and they deliver leaf hummus and wood chips to the garden. We would like to also thank some key members of the administration with produce baskets. More to come later, but please keep this in mind. If you would like to post gardening tips, garden related announcements, recipes, photos or other items of interest to your fellow gardeners, please email to orangevillagecommunitygarden@gmail.com or come to a garden meeting. We can post on the blog or garden bulletin board, as appropriate.